Anything sweet after a meal, be it a smoothie or a chocolate lava cake, falls under the ‘dessert’ category for me, and this unorthodox belief system has opened for me the enchanting door of enormous opportunities. 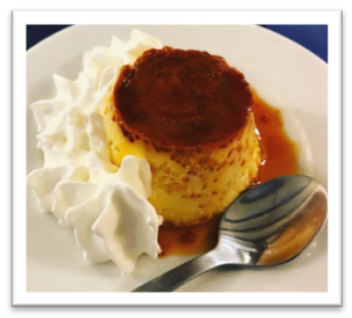 If you are one of those ‘khojis’ (‘explorer’ in Urdu language) who would go miles to try a certain dessert, you have landed on the right spot, and here I share with you some of my experiences in Barcelona where I felt ‘desserted’. Beware! There would be many more and to find out about them…, well, scroll down! Unless there is a better reason, I prefer going to traditional dessert shops, cafes, and restaurants in a city, and most of the places I have explored do not really come from my Instagram or Google search. I found almost all of them on my wanderings on foot. You can do the same if you want. In other case, Google Maps ‘Zindabad’ (Hail Google Maps)! Being a Pakistani and hence a ‘Chai’ fan, it was hard for me to compromise on tea even during the first few days in Barcelona. To make up for it, I decided to go for the ‘English’ tea, and found out that they served ‘Chai’ cakes as well. Chai with chai cake! Seriously? (Interesting!). I went for their chocolate cake instead and it was… ahhmazing! You might find impressive churros somewhere else too but having visited quite a few countries and many cities around the world, I can bet that I haven’t ever had such a ‘chocolicious’ hot chocolate in my life! If you are a tourist, then your breakfast is on some Forn de Pa! I have found some of the best bakeries (Forn de Pa as they call it) with very reasonable ofertas (offers). Some of these offers are for less than €2! No kidding! This milkshake was a treat and I felt too… Socratic? It is a ‘moral’ obligation on me to try waffles in any part of the world that I visit since I had a deal with a friend and we share our waffle pictures to see who wins! Guess what? The waffle you see in the background is theirs! I have fallen in love with the fruit in Spain! It is good when eaten alone but how about having it on a slice of cake? If you are a cake or a strawberry fan, or not scared to become one, you now know where to go! I have visited many other places, but I shouldn’t tell you everything! There are some more pictures to make your day but if you want to know more about food, fun, and life, here in Barcelona, follow me on Instagram at pa.paras.si!